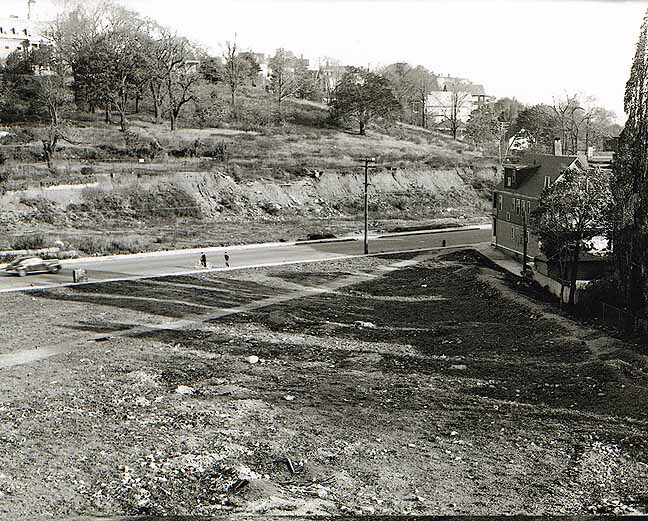 Faneuil Estate, built in 1760, on southern slope of Bigelow Hill, between Bigelow and Brooks Street. Faneuil St runs in front of the mansion with Oak Sq to the left and Washington St is in the foreground. 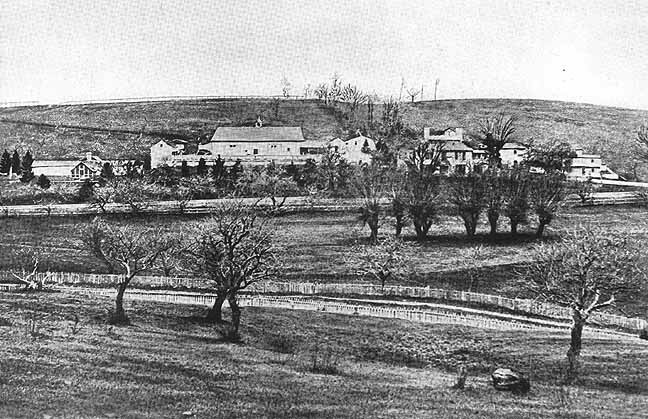 The date of this photo is c1860 when it was in its original Georgian style. 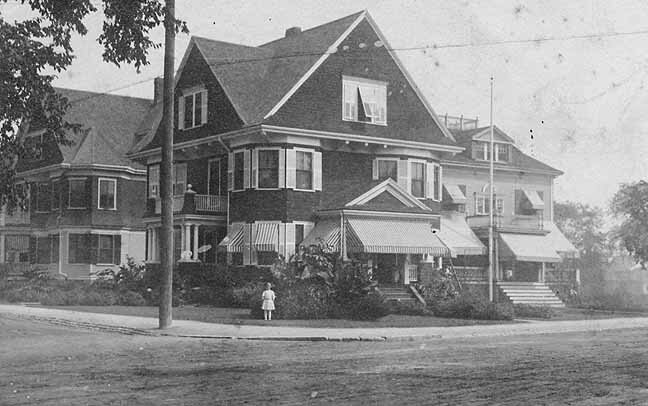 It was renovated sometime therafter with the French second empire style with mansard roof, etc. Gatekeeper's house of the Faneuil estate. Dating from 1760, it is the oldest house in the Oak Sq area at the corner of Faneuil and Dunboy Streets. Photo taken about 1925. 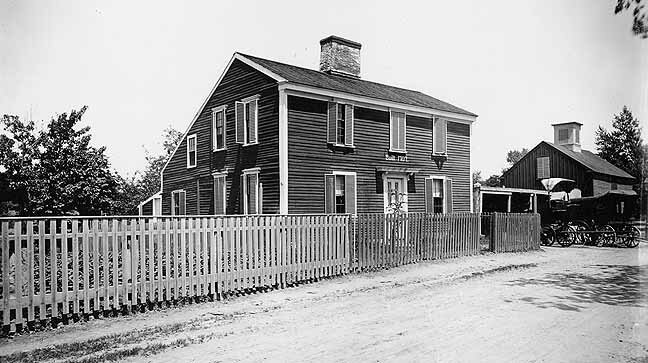 Davis House, built in 1707, stood on Faneuil Street where the Faneuil Housing Project stands today. 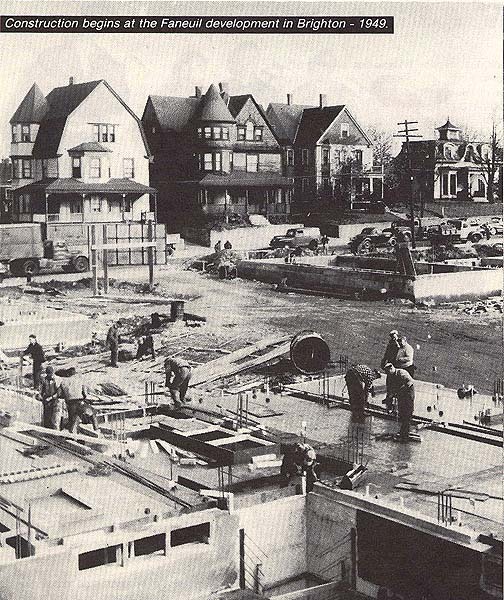 Beginning of the Faneuil Housing Project construction in 1949. Houses in the background are at 254- 253 North Beacon St. 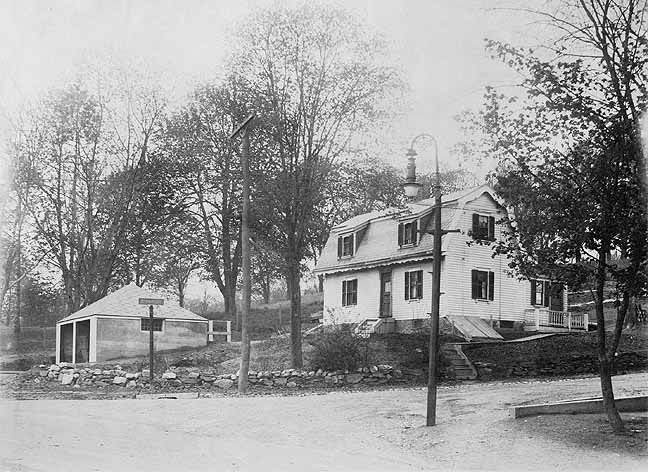 The house on the right (#243), which was built in the 1850s, no longer stands and was originally the home of Benjamin Fobes, long time Brighton Police Chief. 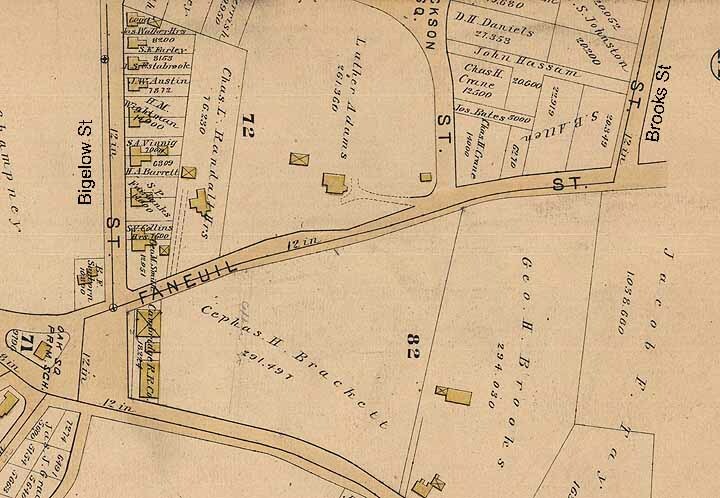 This land originally formed part of Brighton's oldest nursery, Winship's gardens, a 40 acre property which was sold for residential development in the 1850s. 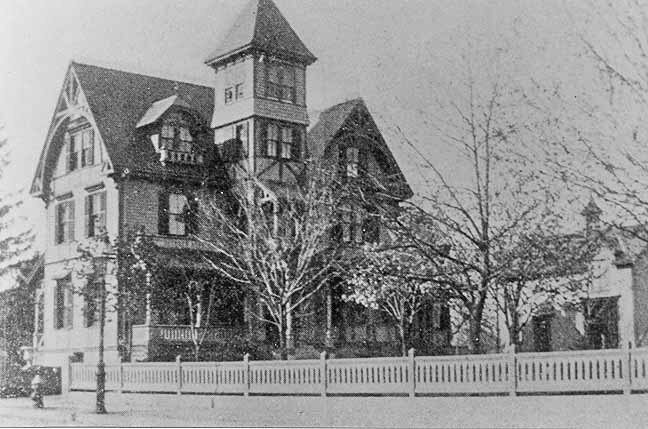 The Hiram Barker House, residence of a Brighton lumber merchant, stood at the southeast corner of Parsons and Niles Street. See on the map below to the right of center.